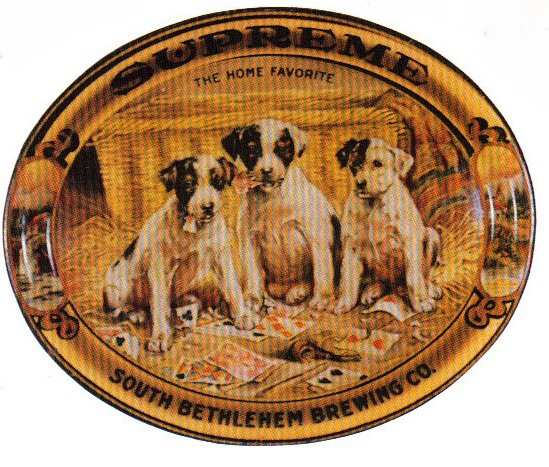 Serving Tray for “Supreme” by South Bethlehem Brewing Company showing in the center three puppies playing with poker cards and sitting in hay. This is the #6 stock design from H.D. Beach, Co. the stock version of this tray with no brewery sells for between 25-50% of the value of a tray with a brewery on it.